This is a traditional 2D hand-drawing animation film. Synopsis: After the little girl took the bus, her grandpa found his granddaughter didn’t carry her wallet with her. So grandpa jumps on his old bicycle and tries very hard to deliver the wallet to his granddaughter. This is the love which can melt the generation gap. This is a short clip of what probably is the first bicycle motocross action captured on film. With this new piece of evidence the History of BMX has now been rewritten. Bicycle motocross was born in the Netherlands. It was filmed in 1957 in Amersfoort – Netherlands. This film was shown to public for the first time at the “2009 Old School BMX Reunion” at Slagharen, Netherlands and posted online at Fatbmx on 2009/10/22. 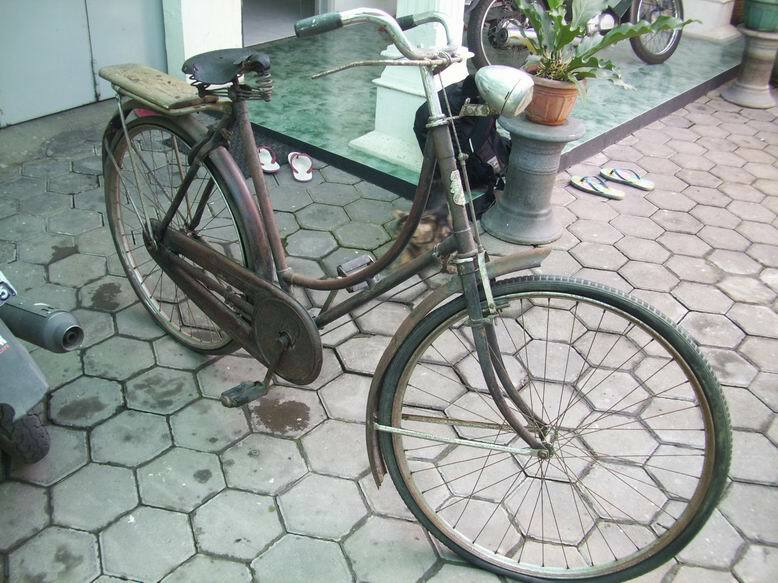 You are currently browsing the Sepeda Onthel Lawas Solo [SOLO] blog archives for February, 2012.